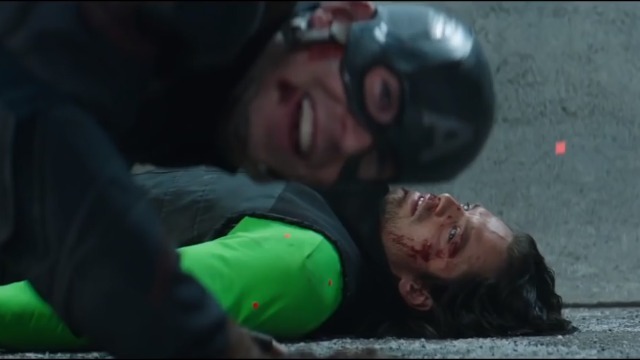 Ahead of the film’s Blu-ray release, Marvel Studios (via BuzzFeed) has released the Captain America: Civil War gag reel featuring the goofy side of Earth’s mightiest heroes. Check it out in the player below! The most explosive clash to ever rock the Marvel Cinematic Universe ignites a firestorm of conflict in the game-changing epic, Captain America: Civil War. In the wake of collateral damage, government pressure to rein in the Avengers drives a deep wedge between Captain America (Chris Evans) and Iron Man (Robert Downey Jr.), causing a catastrophic rift that escalates into an all-out feud. Marvel’s Captain America: Civil War is directed by Emmy Award-winning directors Anthony and Joe Russo from a screenplay by Christopher Markus & Stephen McFeely. Kevin Feige is the producer of the film, with Louis D’Esposito, Victoria Alonso, Patricia Whitcher, Nate Moore and Stan Lee serving as executive producers. Captain America: Civil War will officially be arriving on Digital HD, Digital 3D and Disney Movies Anywhere on Sept. 2 and on Blu-ray 3D, Blu-ray, DVD and On-Demand on Sept. 13. You can pre-order your copy by clicking here!